Big Six energy giant ScottishPower has swept into the electric vehicle (EV) market with a new partnership aimed at providing a “one-stop-shop” for customers looking to buy an EV and home charging point backed by a green electricity tariff. Through a deal with UK private car dealership Arnold Clark prospective EV buyers will be able to purchase or lease an EV of their choice, book a home charging point installation, and sign up to a 100 per cent renewable electricity tariff as part of the same package. 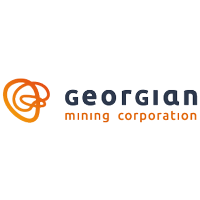 Georgian Mining Corporation (LON:GHE) has 50% ownership and operational control of the Bolnisi Copper and Gold Project in Georgia, situated on the prolific Tethyan Belt, a well-known geological region and host to many high-grade copper-gold deposits and producing mines. The Bolnisi concession covers an area of over 860 sq km and has a 30-year mining licence with a variety of targets and projects ranging from greenfield exploration / target definition phase through intermediate target-testing phases to more advanced projects including Kvemo Bolnisi East which will advance to Feasibility Study in 2018. These projects are proximal to existing mining operations owned by the Company’s joint venture partner, and their sister production company. Georgia has an established mining code and is a jurisdiction open to foreign direct investment.